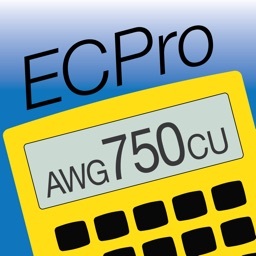 Electrical Calc Elite™ is the industry’s top NEC code calculator! 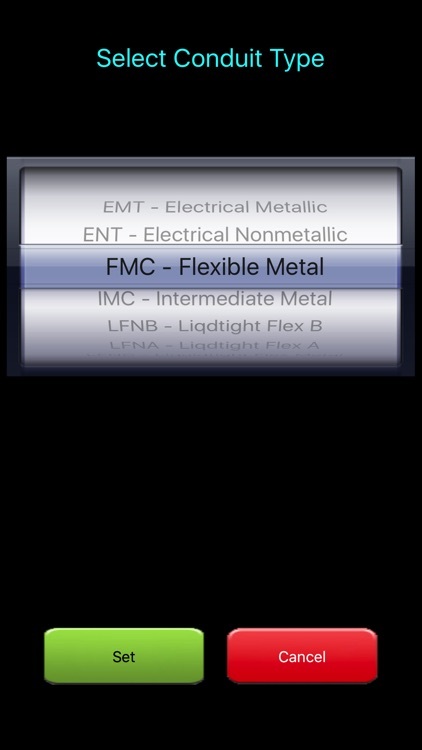 This app is designed with electrical professionals in mind to solve the most common electrical calculations based on National Electric Codes. 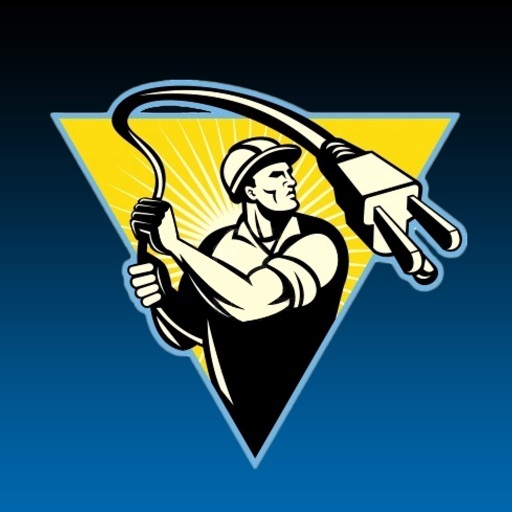 Whether you are an Electrician, Contractor, Building Inspector or simply a DIY homeowner, checking your work for National Electric Code compliance has never been easier. 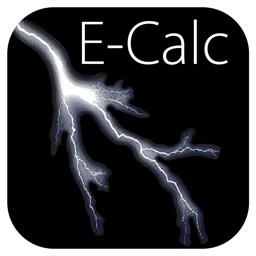 Electrical Calc Elite™ is compliant with 2017, 2014, 2011, 2008, 2005, 2002, and 1999 NEC®. Great for Electrical Contractors, Designers, Engineers, Electricians, Maintenance Inspectors, Planners, Builders, and Lighting Specialists. 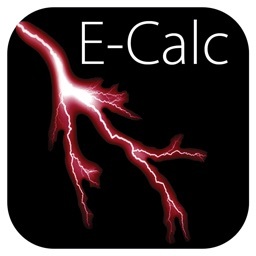 The Electrical Calc Elite™ allows you to solve code-related problems quickly and accurately...the most common National Electric Code tables are now at your fingertips! • Convert between Amps, Watts, Volts, VA, kVA, kW, PF%, Efficiency%, and DC Resistance. 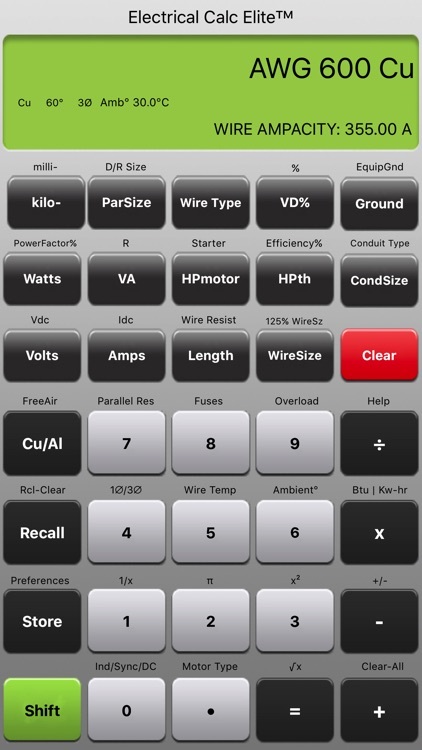 • Ohm's Law Calculations: enter any two values (ohms, volts, or amps) to solve for the third. • Calculate required wire size per NEC® tables 310-16 and 310-17; Copper or Aluminum, 3ø or 1ø, 60°C, 75°C, 90°C insulation ratings and 100% or 125% of ampacity. Adjust wire sizes for ambient temperatures other than 30°C and for more than three wires in a raceway. • Calculate Voltage drop: Find minimum VD wire size, maximum length for any given wire size to stay within specified VD, drop percentage, actual number and percentage of Volts dropped. • Conduit sizing for 12 types of conduit per NEC®: Find recommended size of conduit for combinations of #THW, #XHHW, and #THHN wires. Also calculates fill percentages, conduit cross-sectional areas, remaining areas and more. • Find Motor Full-Load current per current NEC®: Works in 1ø or 3ø, synchronous and DC motors per NEC® 430-247, 430-248, and 430-250. 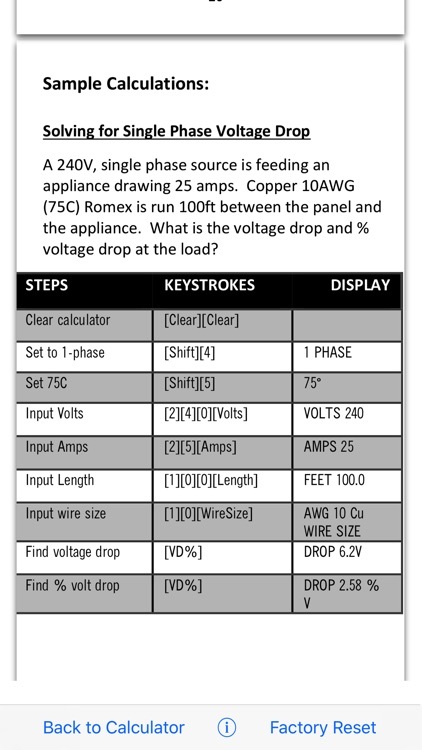 • Calculate Fuse and Breaker Sizes per NEC® 430-52. • Sizes overload protection per NEC® 430-32. • Finds NEMA starter sizes per ICS 2-1988 (Tables 2-327-1 and 2-327-2). 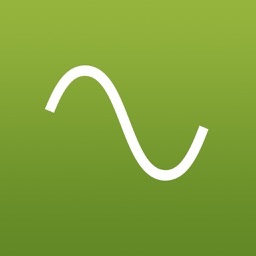 • Calculates service and equipment grounding conductor sizes per NEC® 250-122 and 250-66. Visit our website: http://www.cyberprodigy.com/electricalcalcelite/ for more information including our detailed user's manual. If you are not 100% satisfied with this calculator please email us at [email protected] so we can make things right before posting any negative reviews. 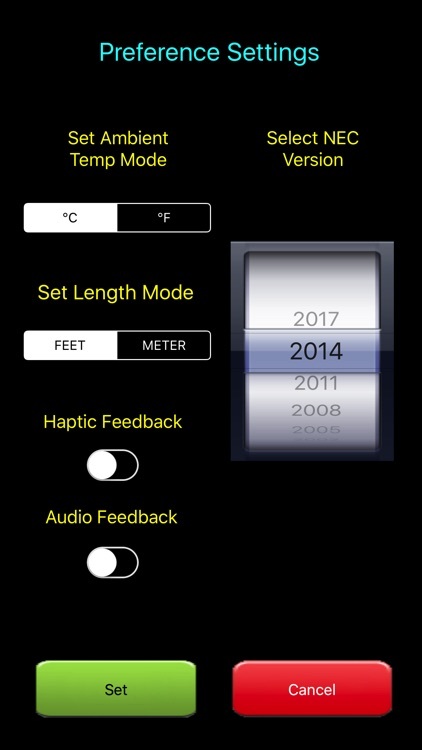 We are also open to any suggestions you may have for future enhancements to this electric calculator. 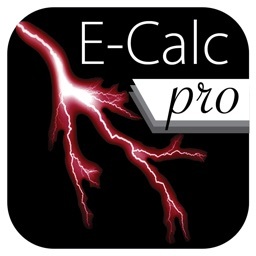 Electrical Calc Elite™ is not associated with ElectriCalc® Pro and Cyberprodigy LLC is not affiliated with Calculated Industries, Inc.